Get your pencils and paper out! The epic Bloons TD Battles™ MAP DESIGN COMPETITION is here! It’s really simple, sketch out your best idea for a new map in BTD Battles. Pencil and paper are fine, but you can use any media you are comfortable with, from crayons to Photoshop. Scan and send it in to us at mappromo@ninjakiwi.com by Sunday the 2nd April, 2017. The team at Ninja Kiwi will then pick up to 5 of the best submissions. These maps will be voted on by the community on the Bruno and Locky YouTube channel to determine the winning entry. 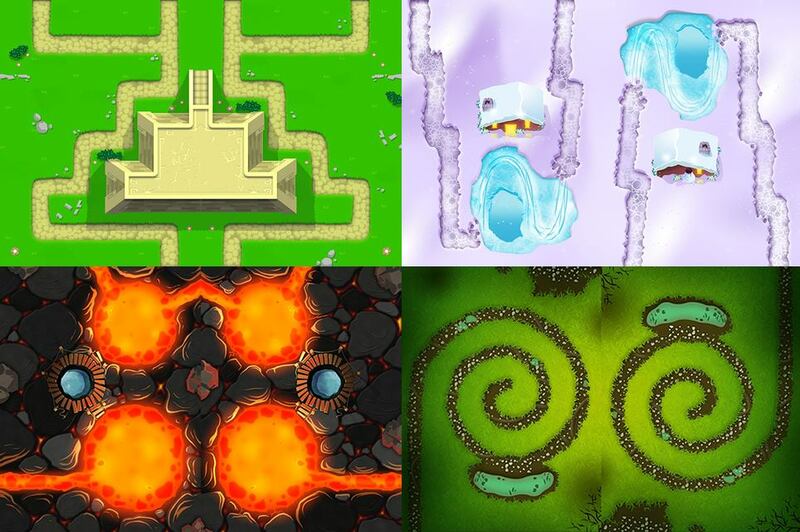 The winning map will be developed and illustrated by the Ninja Kiwi art team and included in the game! Plus the kudos of telling your friends your map is in BTD Battles! Perhaps you want to have a twisty part of the track for a Glaive Lord or a Reactor? Perhaps you want a large, circular curve that would suit a Monkey Ace? It’s up to you! You are welcome to include brief design and environmental notes with your submission.